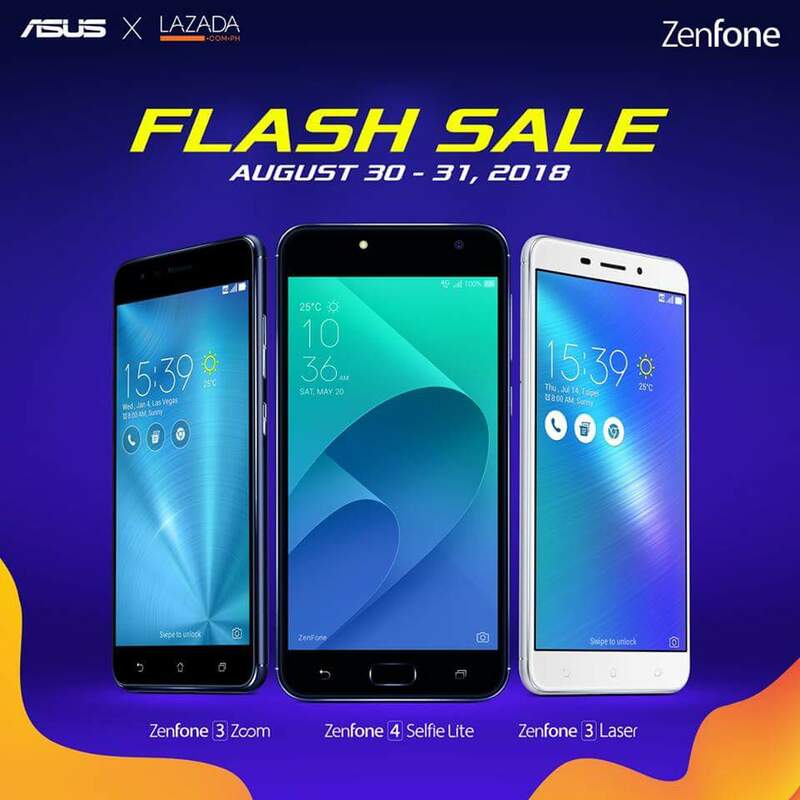 Only for today (August 30) and tomorrow (August 31), these fan-favorite ZenFone smartphones are heavily discounted on Lazada, thanks to ASUS Special Payday Sale promo. These are the ZenFone 4 Selfie Lite, ZenFone 3 Laser, and ZenFone 3 Zoom. 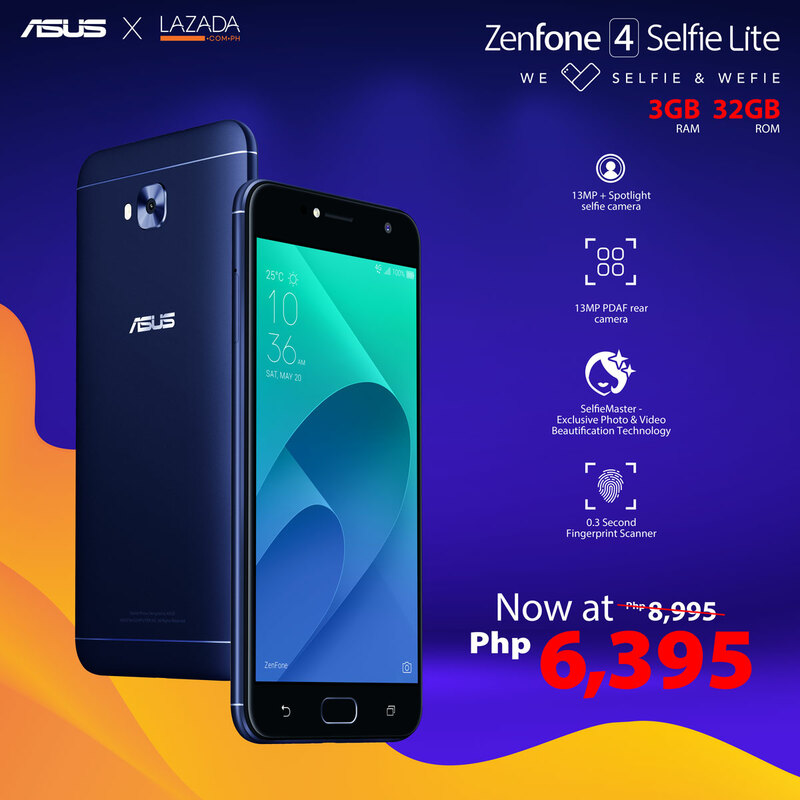 The ZenFone 4 Selfie Lite, which is a Lazada Philippines exclusive release, can now be had for only Php6,395 (Php2,000 OFF). This device offers 3GB RAM and 32GB internal storage right out of the box with of course support to microSD card. And bearing a Selfie name, this handset is equipped with 13MP front facing camera all with Beauty Mode feature to up your selfie game to the next level. 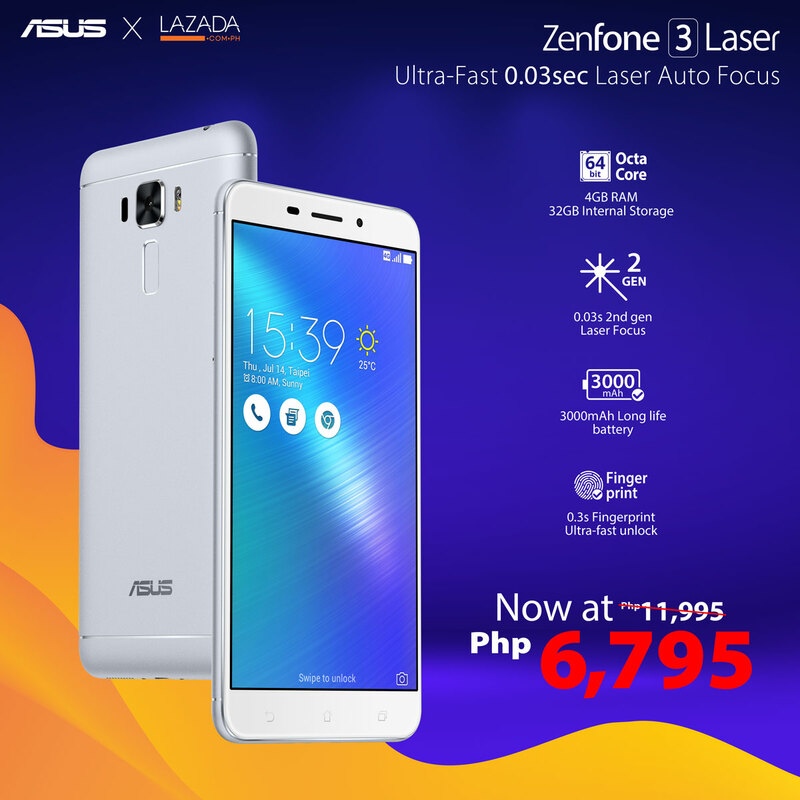 Another in line is the ZenFone 3 Laser. 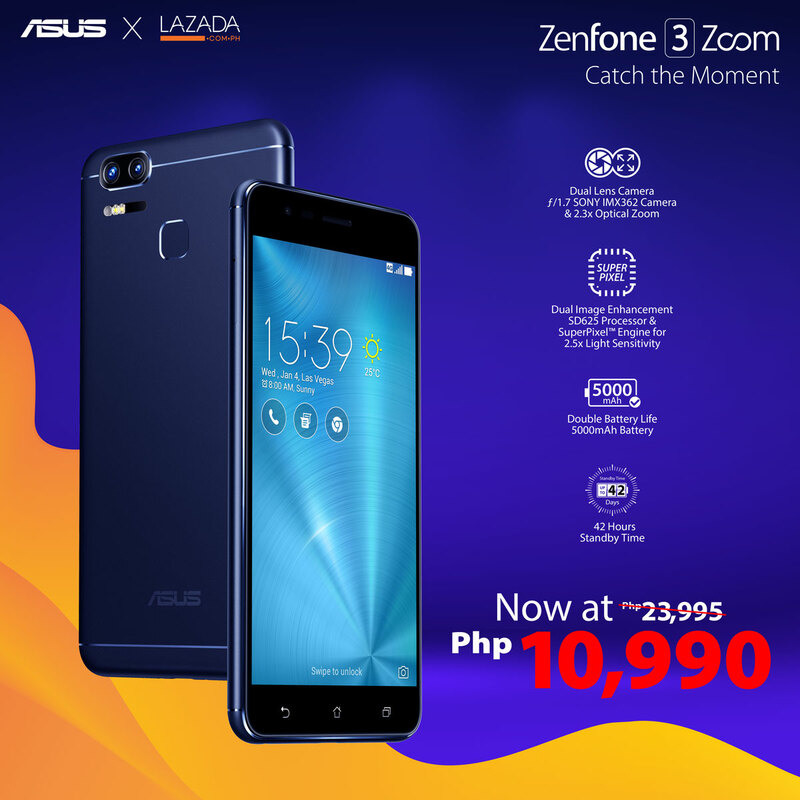 From its original price of Php11,995, it is currently being offered at only Php6,795 (Php5,200 OFF). This one will get you 4GB RAM and 32GB storage right off the bat with blazingly fast Generation 2 Laser Autofocus lens on its back with speed up to 0.03sec through its 13MP rear camera as well as an ultra-fast fingerprint scanner. Last but not least is the ZenFone 3 Zoom, my personal favorite of the three (read my unboxing and initial impressions here). Originally it was locally priced at Php23,995. Today and tomorrow it can be had for just Php10,990, that's a total of Php13,005 discount. Out of that discounted asking price you get Full HD display, dual 13MP rear camera with front facing shooter pegged at 13MP. It is one of the best smartphone camera I have ever reviewed on the blog, not to mention its massive 5000mAh battery pack. Needless to say, for a 10K price tag, it's definitely a steal. You can buy these phones through the posted links above.